The municipality of Frankfurt is under fire from the Israeli government and Jewish advocacy groups for planning to honor a Jewish philosopher who they say follows a virulent anti-Israel agenda, endorses a boycott of Israel and has made ostensibly supportive statements about Hamas and Hezbollah. 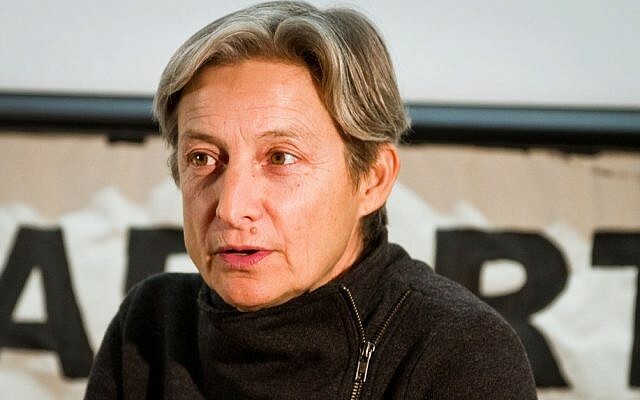 But Judith Butler, 56, who is to receive the prize — which is named after a famous German-Jewish philosopher — says she does not support Hamas and Hezbollah and that she has never supported violent resistance. 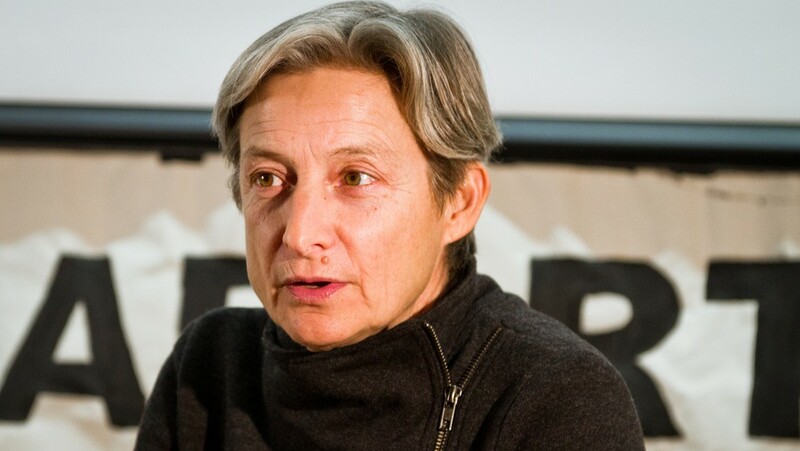 Butler, who teaches at the University of California, Berkeley, says she “partially” endorses the BDS (Boycott, Divestment and Sanctions) movement against Israel, but does not favor boycotting individuals solely based on their nationality. Every three years, Frankfurt, the only major city in Germany with a Jewish mayor, awards the Theodor W. Adorno Prize, which comes with €50,000 award (about NIS 250,000, or $62,000). On September 11 — Adorno’s birthday — the municipality will grant the prize to US-born Butler, one of the world’s leading thinkers in the fields of feminism, queer theory, political philosophy and ethics. But in light of statements made by Butler on Hamas and Hezbollah, and her support for a boycott of Israel, news of her imminent honor has led to indignant criticism from Israel and several Jewish organizations, including the Central Council of Jews in Germany and the Simon Wiesenthal Center. The controversy has been widely discussed in German media. Some senior leaders Germany’s Jewish community have said they will boycott the award ceremony, to take place next week in Frankfurt’s historic Paulskirche. “Butler’s academic work in the fields of social sciences and philosophy may undoubtedly be extraordinary and award-worthy, yet it is surprising that the city of Frankfurt will award an individual the Theodor W. Adorno Prize who has repeatedly called for a cultural and academic boycott of Israel,” Jerusalem’s ambassador in Berlin, Yakov Hadas-Handelsman, wrote in a letter to Frankfurt’s Mayor Peter Feldmann last week. “Butler is a virulent critic of Israel and has contributed to the demonization and delegitimization of the Jewish state. Because of this, she is thoroughly undeserving of the award and its monetary prize,” the organization said in a statement. The German chapter of a group called Scholars for Peace in the Middle East said it was particularly inappropriate to hand a prize named after Adorno to a critic of Israel. “The philosopher Theodor W. Adorno was clearly and vehemently opposed to all types of Jew-hatred, while Judith Butler trivializes terrorist organizations such as Hezbollah and Hamas clearly opposed to Israel,” the group said in a statement. “That the City of Frankfurt, of all places, where the boycott against Jews of the Nazis in 1933 is still remembered, awards a prize of 50,000 € named after a scholar who was driven into exile by the Nazis, to a person that calls for the singular boycott of Jewish Institutions within the state of Israel, is a scandal,” the group continued. Butler, who co-directs UC Berkeley’s Program of Critical Theory and also teaches philosophy at the European Graduate School in Switzerland, was among the first 100 people to endorse the United States Campaign for an Academic and Cultural Boycott of Israel, according to the Campaign’s website. In a 2006 event at UC Berkeley, a student questioned the left’s condemnation of Hamas and Hezbollah “just because of the violent components of their movement.” Doesn’t the left’s hesitation to support these groups do “more harm than good?” the student asked Butler. In an article Butler wrote last month in response to critical media coverage of her nomination to receive the Adorno Prize, she said all her positions were based on “ethical views on the basis of Jewish philosophical thought” and the values of tikkun olam (repairing the world). “The accusations against me are that I support Hamas and Hezbollah (which is not true), that I support BDS (partially true), and that I am anti-Semitic (patently false),” she wrote. “My remarks on Hamas and Hezbollah have been taken out of context and badly distort my established and continuing views. I have always been in favor of non-violent political action, and this principle has consistently characterized my views,” Butler added. Regarding her stance on the BDS movement, Butler asserted that she opposes “investments in [Israeli] companies that make military equipment whose sole purpose is to demolish homes” and would not speak at Israeli institutions that do not take “a strong stand against the occupation.” Yet she opposes boycotts of individuals merely because of their citizenship and maintains “strong collaborative relationships with many Israeli scholars,” she added. Butler has been a fierce critic of Israeli policies and actions in the territories, asserting Israel has been guilty of “excessive state violence” and accusing the government and media of dehumanizing Palestinians. “I would also say that what became really hard for me is that if one wanted to criticize Israeli state violence — precisely because that as a Jew one is under obligation to criticize excessive state violence and state racism — then one is in a bind, because one is told that one is either self-hating as a Jew or engaging anti-Semitism,” she told Haaretz during a visit to Israel and the West Bank in 2010, a year after Operation Cast Lead, Israel’s assault on Hamas in Gaza. In the same interview, she lambasted Israelis for allegedly dehumanizing the residents of Gaza. “The Israeli government and the media started to say that everyone who was killed or injured in Gaza was a member of Hamas; or that they were all being used as part of the war effort… So any and all Palestinian lives that are killed or injured are understood no longer to be lives, no longer understood to be living, no longer understood even to be human in a recognizable sense, but they are artillery,” she said. Theodor Adorno (1903-1969), a native Frankfurter, was the leading member of the so-called Frankfurt School of critical theory and is considered one of the 20th century leading philosophers and cultural critics. In 1934, Adorno left for Britain but returned to West Germany after the war, where he taught at Frankfurt University. The city of Frankfurt gives out a triennial award named after him to “acknowledge outstanding performances in the fields of philosophy, music, theater and film,” according to the municipality’s website. This year, the city honors Butler as “one of the key thinkers of our time” whose writings about identity and body are respected worldwide. “As a pioneering thinker of a new understanding of categories such as gender and subject, but also of morality, she is always committed to the paradigm of critical autonomy,” the city said. 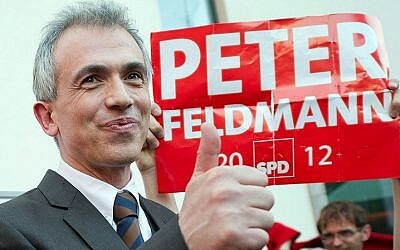 Feldmann, who became Frankfurt’s mayor in July, is the son of Holocaust survivors and an active member of the city’s Jewish community. Officially, there are about 7,000 Jews in Frankfurt. 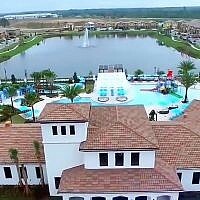 But Feldmann recently told The Times of Israel that the real number might be twice as high. Find Raphael Ahren on Twitter.